i know the phrases “in like a lamb and out like a lion” and “in like a lion out like a lamb,” commonly associated with the month of march, are supposed to refer to the weather – whether march is going to enter with great sunny weather and leave with a ton of snow, or vice versa. but often times i feel like it’s referring to my life – march is either going to start out with a whole bunch of stuff to do and things i need to keep on top of and end a little more relaxed with not a lot going on, or it’s going to be the other way around. outdoor sports are starting up again, school is just beginning to wind down which means there’s a lot going on, we usually have spring break somewhere in there, the weather is (hopefully) getting nicer and our kids want to go out but it’s not quite nice enough which means there is lots of mud…and lots of laundry…and the list goes on. 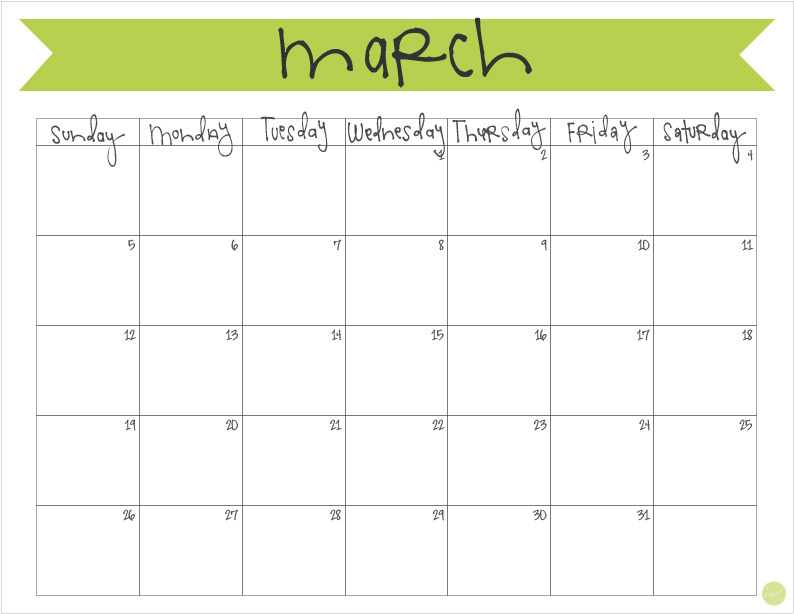 every month is going to be busy because of one thing or another (or lots of things! 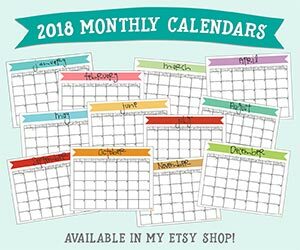 ), so i’m just going to go ahead and print out this freebie calendar to make sure i can keep track of it all – the appointments, the schedules, the to-dos…everything. as much as i’d like to think i’ll remember everything, i won’t. plus, this calendar looks cute up on my fridge! if you want to print his free printable march 2017 calendar too – keep scrolling ’til you see the link! 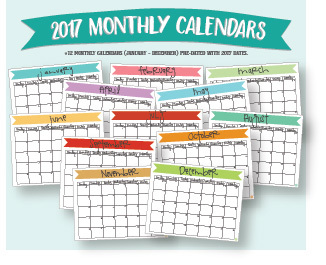 click here to download your free printable march 2017 monthly calendar! here’s hoping your march comes in AND out like a lamb! want more of these banner calendars? you can get the entire year!